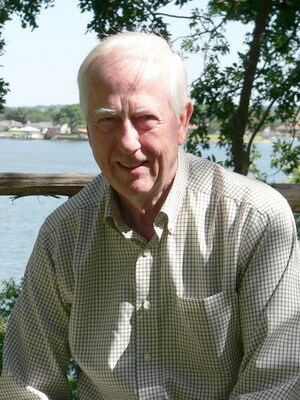 Charles Inge, a native Texan, lives with his wife, Dominique, on a bluff overlooking the Brazos River’s Lake Granbury. Inge's Brazos View well demonstrates the poet's conviction that the compression, the immediacy, and intensity of poetry are ideal for readers and writers in this fast-track age. The book is due out in the summer of 2010. Inge’s earlier years were spent as a business executive in Dallas. Inspired by the lives and works of poets such as Wallace Stevens and William Carlos Williams, he reserved evenings and weekends for working at the craft of poetry. Over time, his extensive travels (to Europe and the Near East), writers’ conferences, and completion of a Master of Liberal Arts degree at Southern Methodist University furthered his interest in writing. He finds the compression, the immediacy, and intensity of poetry compelling. "An event, person, scene, feeling, or theme," Inge says, "can be developed and resolved on a single page. Poetry is the ideal genre for writing in our impossibly busy age." Charles Inge’s work has appeared in Amarillo Bay, Langdon Review of the Arts in Texas, Willow Creek Journal, Granbury Showcase, and inChips Off the Writers Bloc.